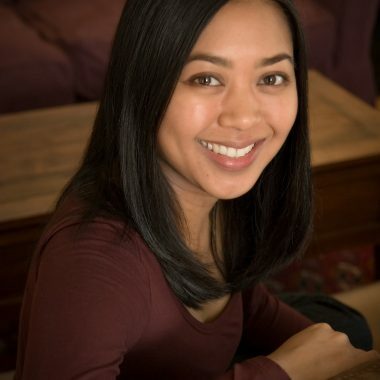 Mae Respicio is a Filipina-American writer who writes heartfelt and insightful MG fiction. She lives in California. As a kid during recess, I wrote little plays that my friends would perform on the blacktop—so writing has always been something I've loved! I first started trying to learn creative writing with the late Les Plesko (a beloved teacher to a lot of writers in Los Angeles) and around that time I also received a PEN Center Emerging Voices Fellowship, which gave me the chance to dig deep into craft. I wrote my first (bad) novel during that fellowship and though the book never went anywhere, it was the best learning experience. After becoming a parent I took time off of my writing goals but when I jumped in again, I had a foundation to help me write my MG novel. Madeleine L’Engle’s A WRINKLE IN TIME was the first time I clearly remember being fully immersed in another world (I read it over and over). My childhood storytelling heroes were my dad and grandfathers. I grew up hearing my grandfathers’ war memories and stories about them growing up in the Philippines. My favorites were their ghost stories and tales of different Philippine mythical creatures, which my kids love hearing now, too. I’m a working mom and my kids are still pretty young, so finding the time to write is a huge challenge. I wrote my MG novel in spurts: during lunch in the office, waiting at school pick-up, in the middle of the night once the house got quiet. When I had a decent first draft that’s when I buckled down to revise (still in the middle of the night!) until I felt I had a strong enough manuscript to submit to agents. I’d say one my biggest key moments was figuring out why I wanted to write this particular story—one with the backdrop of a big, lively Filipino-American family. There are so few Filipino-American voices in contemporary children’s literature, and I wanted my kids to finally see this part of themselves represented in a book. Luckily, my agent search was relatively quick and painless. I’d sent my manuscript out to a handful of dream agents and within a couple of weeks had multiple offers, which felt so surreal. But I credit a quick process to all the time I spent learning about writing before I even attempted to write my MG. I also didn’t rush to submit anything; I took the time to research agents and the marketplace before sending out my work. I have a corner in our house dedicated to my writing desk (even though I always end up with my laptop, a bunch of paper, and an array of snacks sprawled across the dining room table). I try to do something writing-related each day to keep a flow; I also have a wonderful "Writing Buddy" and we keep each other on track. For inspiration, I look everywhere. Right now I’m in a coffee shop and the couple at the table next to me is on their first date—I’m getting all kinds of great ideas! (Sorry for eavesdropping, Couple On Your First Date!). I always keep a notepad near to jot down ideas as they strike. I think there's sometimes a hobbyist notion of what it means to write a novel but like any skill, it takes a lot of learning and practice. So my tip is to not worry about the publishing stuff until you’ve taken some time to learn your craft first. There are lots of ways: classes, critique partner-ing, reading widely in your genre, joining a writing group—and not being afraid to write lots of bad pages to get to the good ones! The SCBWI is also an awesome resource for aspiring kid-lit writers. In such a competitive marketplace your strongest chance is to write your best book possible. Voice—it’s the first thing that grabs your reader! Story—learning how to convey what’s at stake for your character. Language—I’m most drawn to writing that has a melody to it; playing around with words is one of my favorite things. Gosh, I know I’d have the longest invite list ever, but I’d make Carlos Bulosan my main guest of honor. As far as fictional characters I wish I’d invented, Beverly Cleary’s Ramona Quimby was a big part of my childhood reading. She always seemed so real and fearless to me—the type of strong kid character I love reading and writing about.